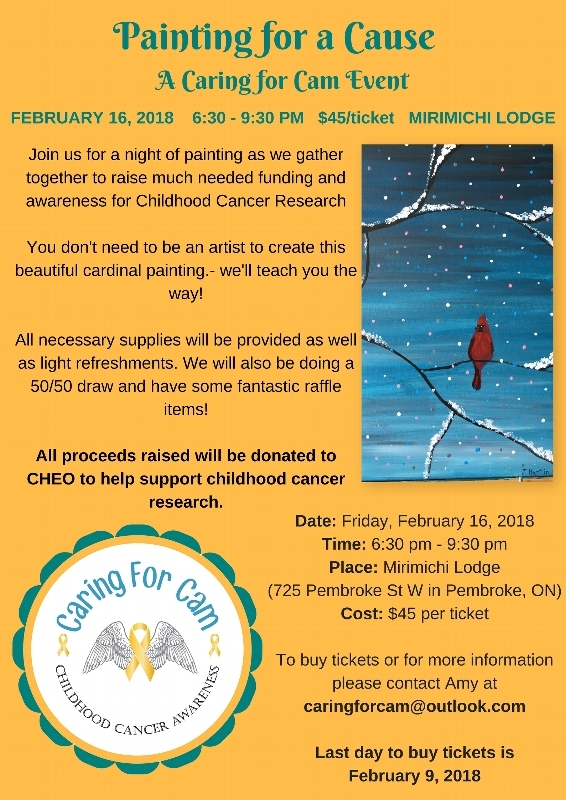 Painting for a Cause- A Caring for Cam event is being held at the Mirimichi Lodge in Pembroke, ON on Friday, February 16, 2018 at 6:30 pm. No experience is needed for this paint night event- you will learn some tips and tricks from our volunteer artist! This event is being held in memory of Cameron, who passed away from a very rare type of cancer on Nov 4, 2016. 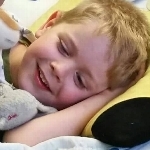 Cam was a kind, spunky, compassionate child who fought his battle with grace, courage and incredible positivity. Our way to honor Cam on what would have been his 6th birthday, to raise awareness and to help raise money for childhood cancer and hard tumor research at CHEO, we will be hosting our paint night event. Tickets are $45 per person and includes all of the materials needed to create your piece of art. We will have a 50/50 draw as well as some beautiful raffle items!